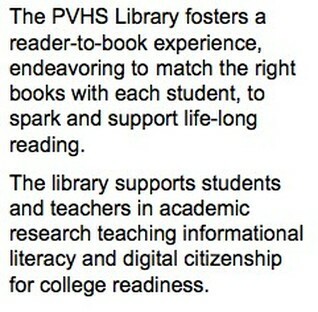 ﻿The PVHS Library is staffed by one full-time Teacher Librarian and one full-time Library Clerk. Sea King Library Club: book club, making, gaming, and special events! Join today!